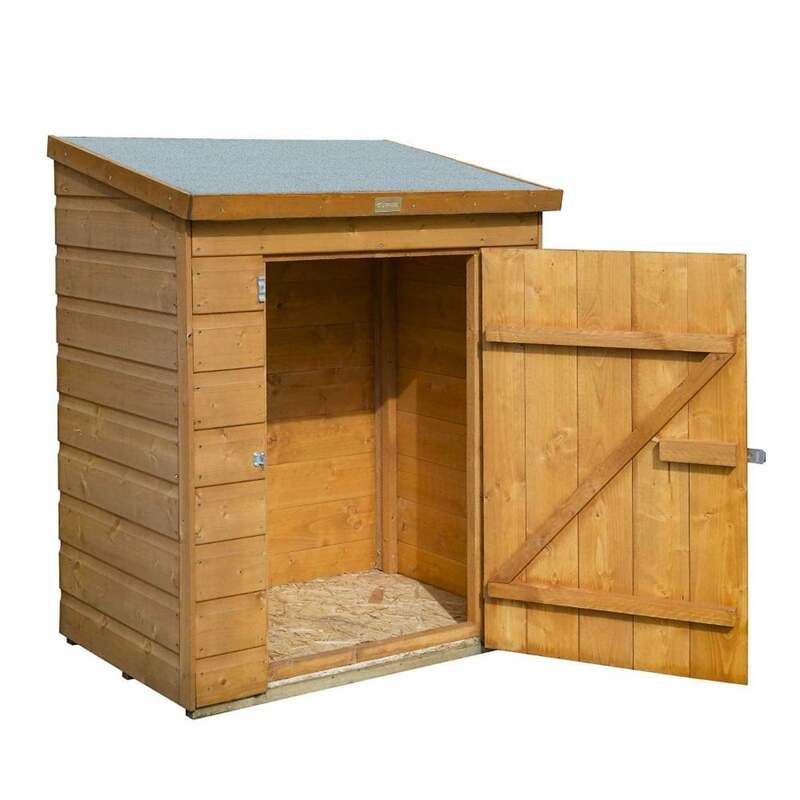 Rowlinson Shiplap Patio Store: The Shiplap Patio Store by Rowlinson is a wonderful and compact storage unit, perfect for storing garden essentials when outdoor space is limited. The Rowlinson Store comes in a dipped honey-brown finish and is made with 12mm shiplap cladding for a high quality design. The Patio Store features a single ledged and braced door, OSB board roof and floor with mineral roofing felt included for a weatherproof design.